Carlisle’s Tuckey Mechanical Services, Inc. is one of the most qualified HVAC contractors in the central Pennsylvania region. Serving clients in Harrisburg, Chambersburg, York and beyond, we have more than 45 years of experience providing heating and cooling service for businesses of all sizes. In addition to new equipment sales and installation, we also provide commercial heating repair, commercial water heater repair, warranty service and more. Whatever your specific HVAC requirements are, we’ll work with you to deliver exceptional value in everything we do. Commercial Customers: When it’s time to upgrade your existing HVAC equipment or move into bigger facilities with complex heating and cooling specifications, make Tuckey Mechanical Services your first call. We sell and install commercial HVAC equipment for businesses of all sizes, and we can help you choose the system that will deliver exceptional efficiency while meeting all of your comfort needs. Our team is reliable and professional, bringing years of experience with large-scale commercial projects to everything we do. Get started today by calling or emailing our office to discuss the details of your project with one of our representatives and request a quote. General Contractors: Trust your next big job to the HVAC experts at Tuckey Mechanical Services. 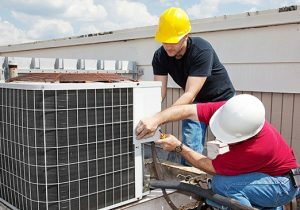 We have a long history of providing commercial air conditioning installations for some of Harrisburg’s most prominent construction contractors. Our technicians can troubleshoot and repair air rotation units, boilers and exhaust fans in many industrial and commercial applications. We will represent your company faithfully and help you achieve your project’s goals in a timely and cost-effective manner. From manufacturing facilities to hotels, office complexes, multi-unit residential buildings and more, we are a fully qualified HVAC subcontractor for a wide range of commercial projects. When it comes to staying productive, you need to know you have a commercial HVAC partner who will work to address issues as soon as they arise. At Tuckey Mechanical Services, we offer 24-hour commercial emergency HVAC repair throughout central PA. If there’s an issue with your heating and cooling system – whether or not we installed it initially – we will get you back up and running as quickly as possible. We can also help you avoid breakdowns by developing a regular maintenance package that ensures your systems are running their best, and that any problems are quickly taken care of before they lead to downtime. We understand how important it is that any service we perform doesn’t interrupt your regular operations, which is why we work around your schedule to get the job done quickly. Whether you’re a retail storefront, a major industrial plant or a general contractor, you’ll benefit from Tuckey Mechanical Services’ commitment to excellence in commercial air conditioning and heating repair. 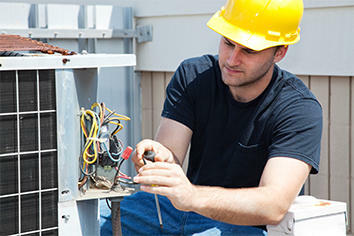 In Harrisburg, Chambersburg and beyond, make us your first call for all of your HVAC needs. We’ll send a team of technicians to your location who will give you an honest assessment of the work required and a fair, accurate estimate of all associated costs. To contact a Carlisle, York, Chambersburg or Harrisburg HVAC professional by phone, call (717) 249-3733. To make an online service inquiry, simply submit the convenient contact form and we’ll get back to you! "All I have to say is WOW!! Dave did a tremendous job at our facilities on Friday! His professionalism and mechanical abilities were exactly what we needed for the jobs we needed performed! Tammy you were spot on with the technician/mechanic that you provided for us! Again Thank you!!"